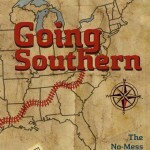 GOING SOUTHERN is a must-have resource for new Southerners and those who work with them. 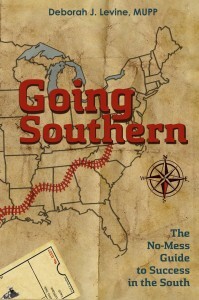 Here is the No-Mess Guide for making the Southern Connection that was featured on CSPAN-BOOKTV. Award-winning, best-selling author Deborah Levine gives New Southerners a cultural map to the U.S. Southeast while entertaining them in true Southern style. She also shares insights and strategies for Southerners who work with national and international newcomers. Based on her training and coaching of executives with Volkswagen, Nissan, La-Z-Boy, and International Paper, Going Southern provides stories and advice that can be used for recruiting to South organizations, on-boarding newcomers, building geographically diverse teams, and developing global leadership skills.